This entry was posted in data, data privacy, facebook, facebook emails, Privacy, social media on April 19, 2019 by Lindsey O'Donnell. This entry was posted in Binary Blogger Thoughts, DevSecOps, Podcast, Privacy, security, securityinfive on April 19, 2019 by Binary Blogger. This entry was posted in Data harvesting, email contacts, facebook, poll, Privacy, user data, web security on April 18, 2019 by Tara Seals. This entry was posted in address book, facebook, Privacy on April 18, 2019 by Graham CLULEY. In this guide, we’ll walk you through a variety of Chrome extensions, ranging from anti-tracking solutions, ad blockers, password managers, and VPN solutions, to name a few. We hand-picked the add-ons from a wide palette of solutions, with the intention to help you browse safely on the internet. 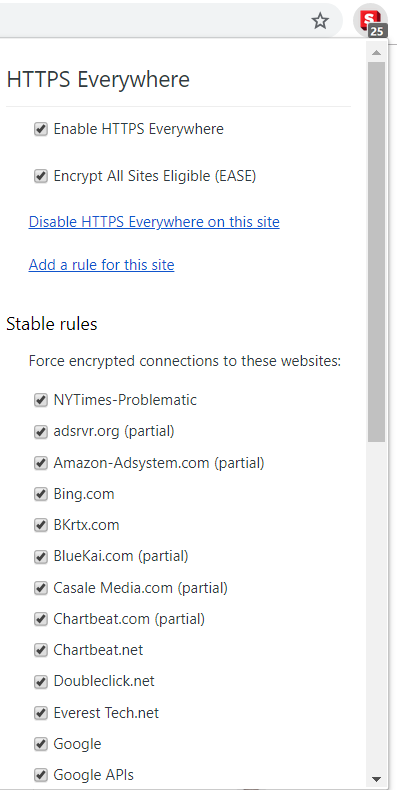 Here are some of the best privacy and safety-related Chrome extensions. 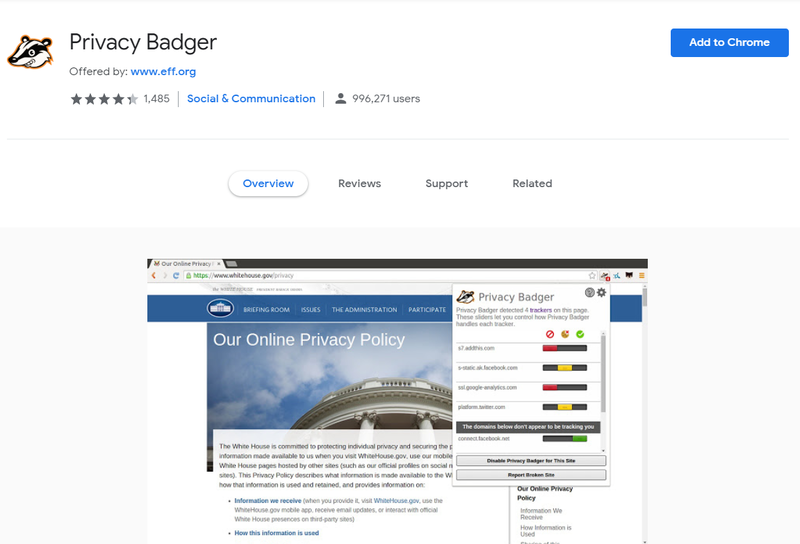 Privacy Badger is a browser add-on developed by The Electronic Frontier Foundation (EFF), that blocks advertisers and third-party trackers from tracking the web pages you visit. Essentially, whenever it detects advertisers who track you across different websites without your consent, it automatically stops them from inserting any more content into your browser. 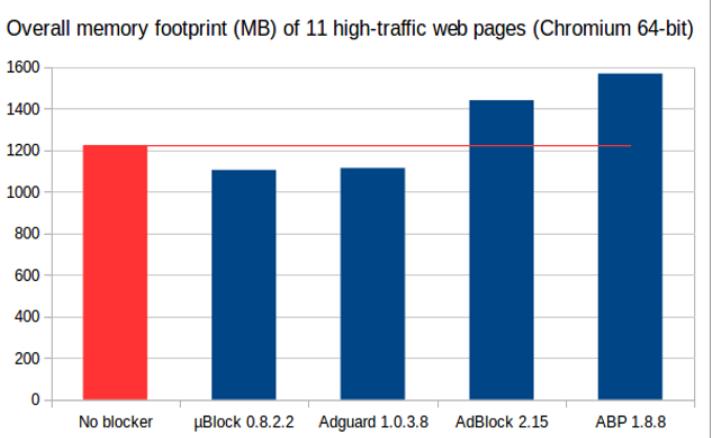 Keep in mind this isn’t a standard ad blocker, as it wasn’t created with the intention to completely block ads. 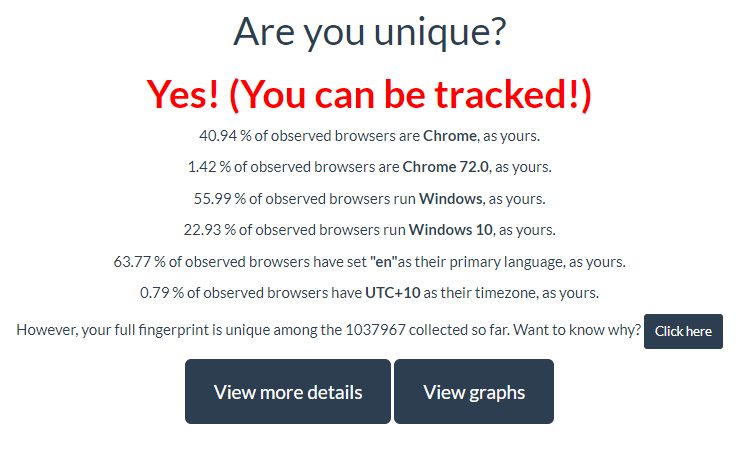 What it really does is focus on stopping any visible or invisible third-party scripts or images that seem to be tracking your activity despite the fact that you specifically refused to be tracked by sending a Do Not Track header. Most of these third-party trackers happen to be advertisements, so that’s why most of them will be blocked. 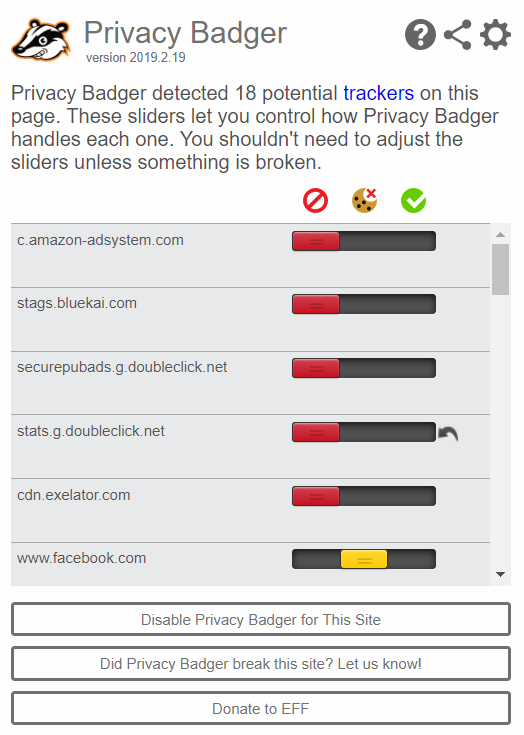 Does it make sense to simultaneously use Privacy Badger and a standard ad blocker? 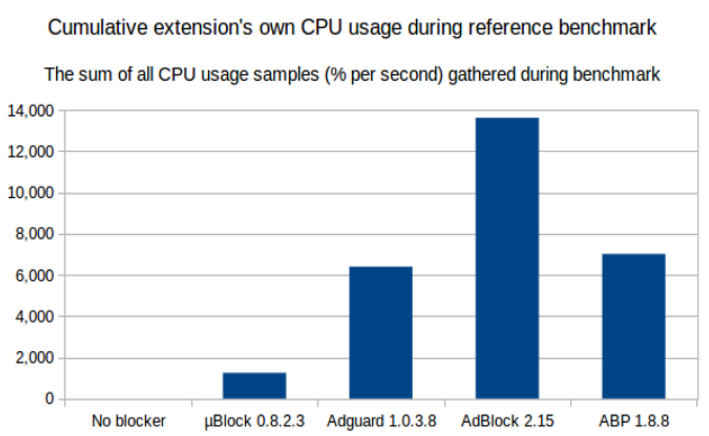 If you really despise ads, EFF advises on using a combination between Privacy Badger and uBlock Origin. 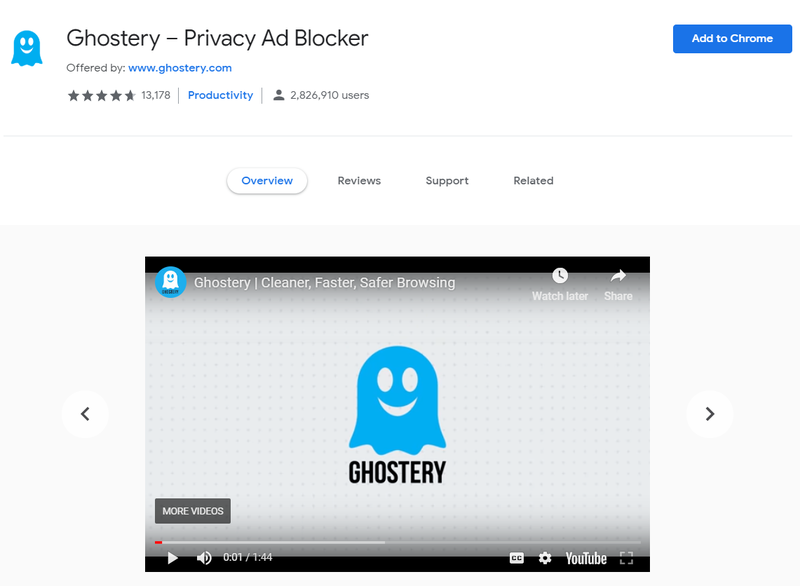 Ghostery is similar to Privacy Badger – it detects and blocks third-party technologies which track you and it also markets itself as an ad blocker. Thus, it provides a clean and fast browsing experience, while preventing advertisers from tracking your activity. 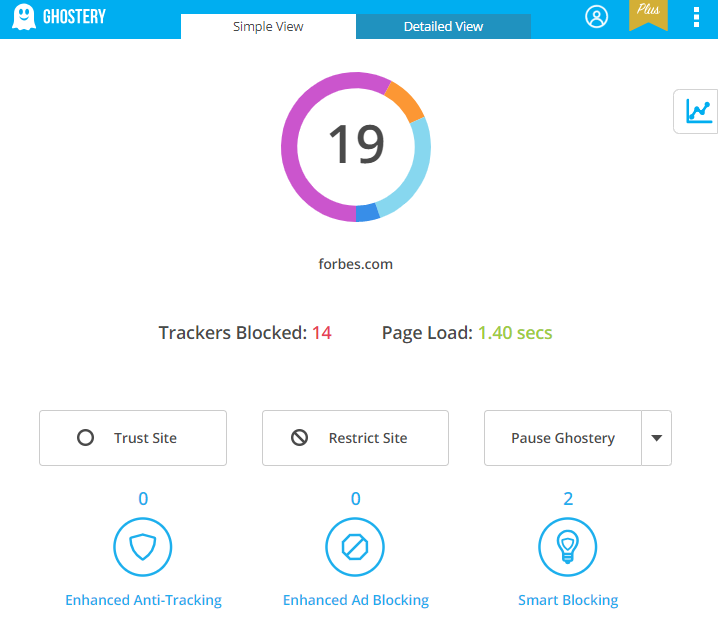 The Smart Blocking feature increases the pages’ loading speed, by automatically blocking and unblocking trackers. HTTPS Everywhere is an add-on created by the Electronic Frontier Foundation (EFF) and the Tor Project, that changes websites from insecure “HTTP” to secure “HTTPS”. “HTTP” is not encrypted and can be vulnerable to threats, such as man-in-the-middle attacks. HTTPS should be used especially on insecure networks (such as public Wi-Fi), as these are most likely to be accessed by people on the same network who can steal your private information. 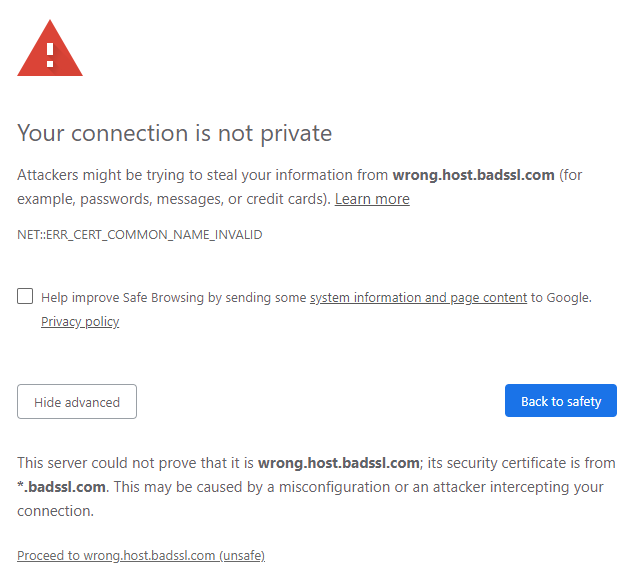 Many websites do offer some support for encryption over HTTPS, but they make it difficult to use. 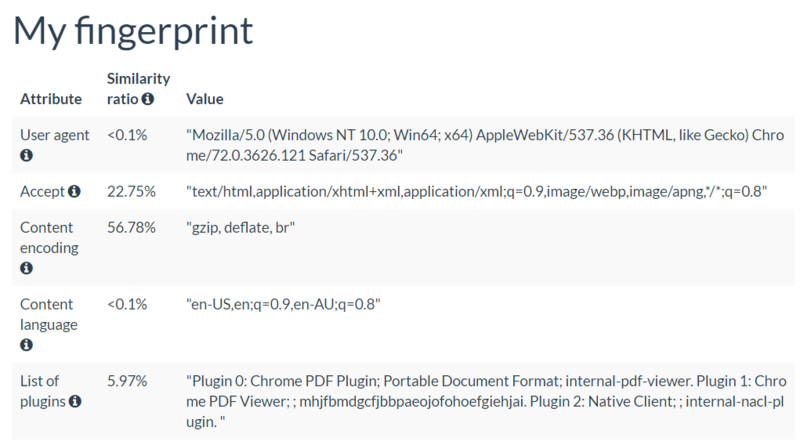 For example, they can link unencrypted sites to encrypted pages. HTTPS Everywhere takes care of those issues by rewriting requests to these sites to HTTPS. Here you can access information about the project’s Git repository and also get involved in development if you are interested to do that. 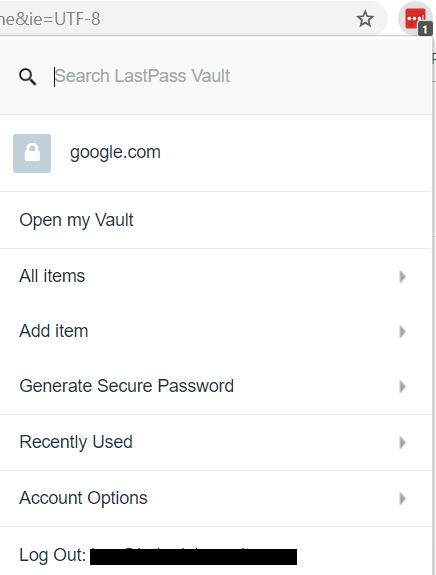 LastPass is a password manager which stores all of your passwords so you don’t have to remember them. Using the same password for all your accounts is the worst thing you can do, so LastPass will contribute to your overall security hygiene. What you do need to remember is the master password used to guard the rest of your passwords. 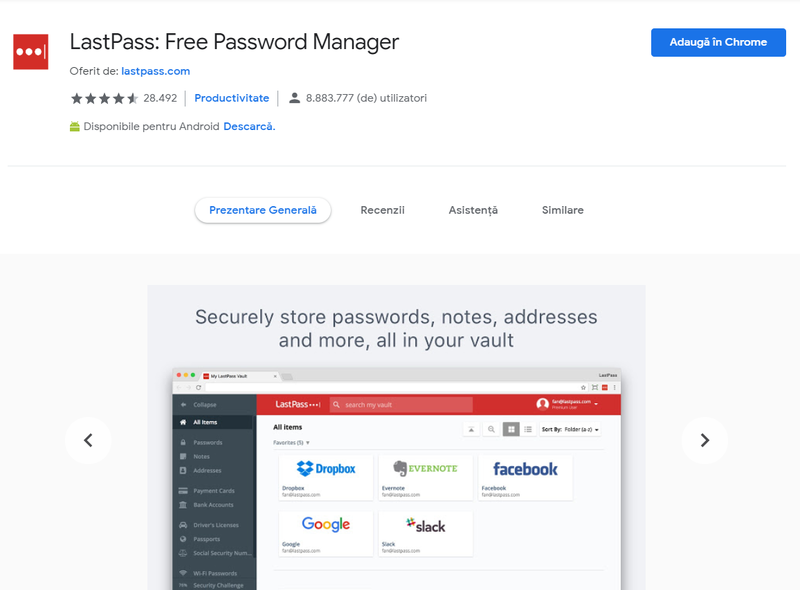 This tool uses strong encryption algorithms, so even the folks from LastPass don’t have access to your data. It integrates with a variety of two-factor authentication options so you can protect yourself with an extra layer of security. You should really turn on this feature just in case someone manages to steal your master password, and this way they can be stopped from accessing your account. 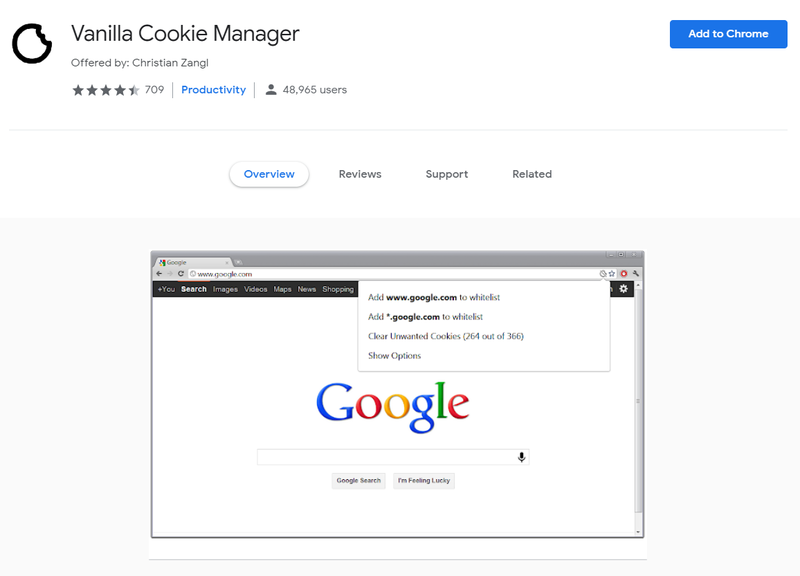 Vanilla Cookie Manager is an extension that allows you to delete unwanted cookies. 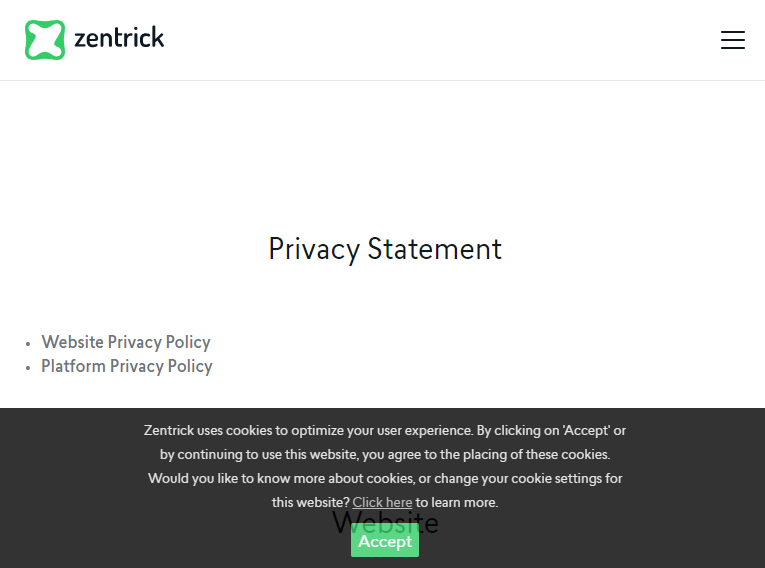 It gives you the option to shut off cookies completely or just remove third-party cookies. 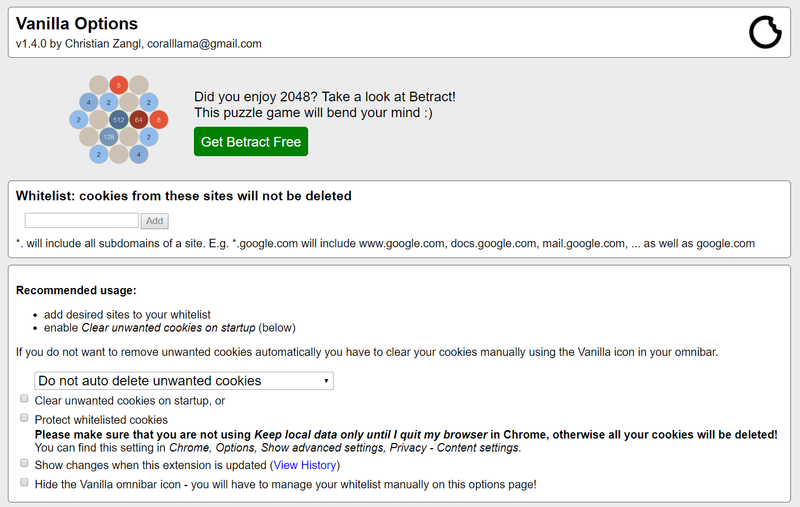 Vanilla Cookie Manager allows you to whitelist the cookies that you would like to keep from websites trusted by you. Does it make sense to manage cookies? Let’s start off by briefly explaining what they are and what they do. 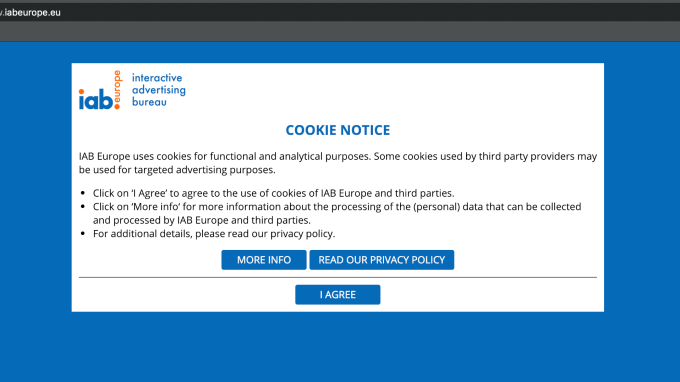 Cookies are text strings stored on your computer in a directory. They are harmless, in the sense that they can’t infect your PC with malware. Yet, they can store information about your activity on websites. So how do cookies work? Web servers transmit cookies that are stored in your browser, and the next time a page is referenced, the browser returns the cookie to the server. Obviously, it’s your choice if you want to alter cookies. Some users prefer to browse the internet without concerning too much about their information being collected, while others prefer to remain completely anonymous. 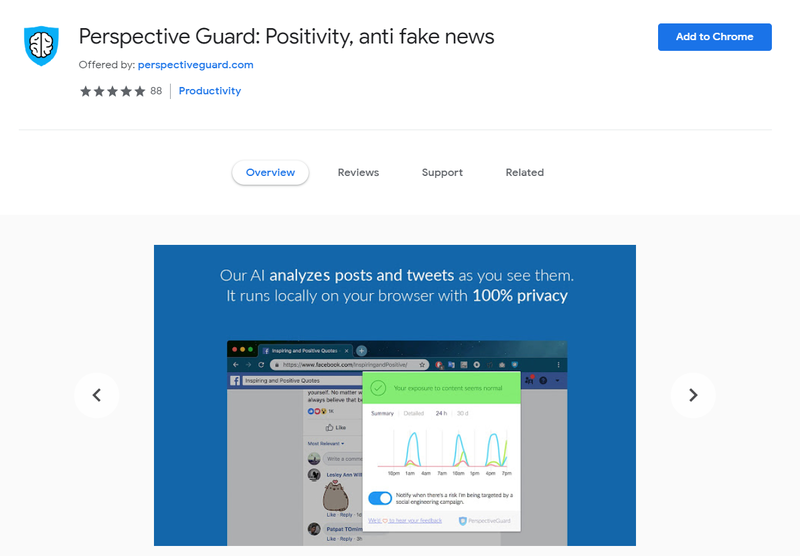 The Perspective Guard extension is based on a rather unique concept running on artificial intelligence, and its main purpose is to let you know if you might come across fake news. Its developers promise not to store your data so you can rest assured you are browsing the internet privately. What it does is monitor the social networks and websites you access and gives you an overview of the type of content you encounter. 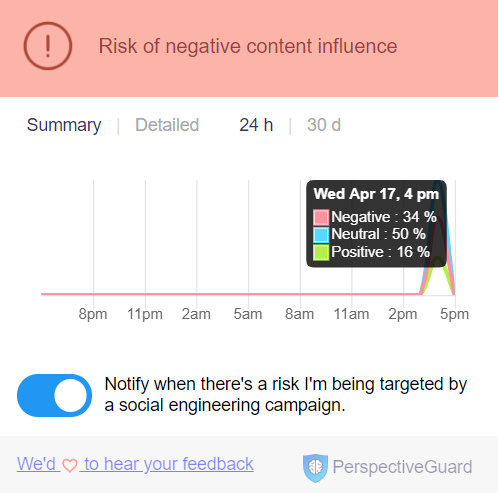 The content you see is classified as Negative, Neutral, or Positive. 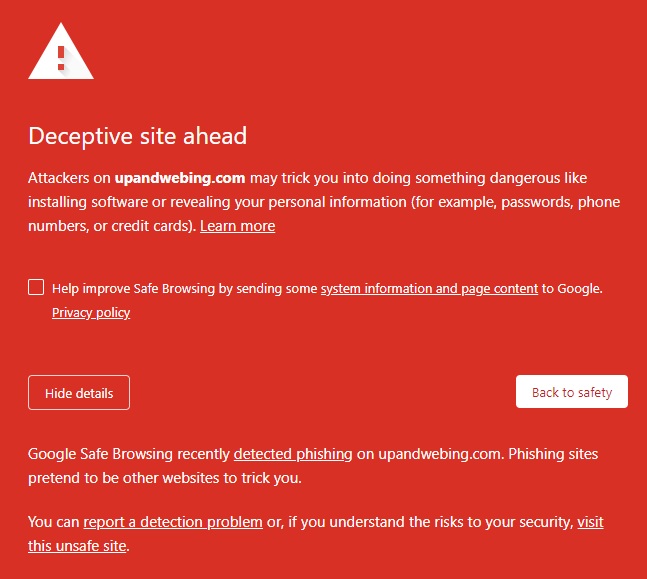 You also have the option to be notified if you are likely to become a victim of social engineering campaigns. minerBlock is an add-on used against those malicious hackers who try to steal your computer processing power to mine cryptocurrency without your consent. This technique is called “crypto jacking”, short for “cryptocurrency hijacking”. For a full overview of the concept and a guide on how to avoid becoming a victim, access our article. How does the minerBlock extension work? 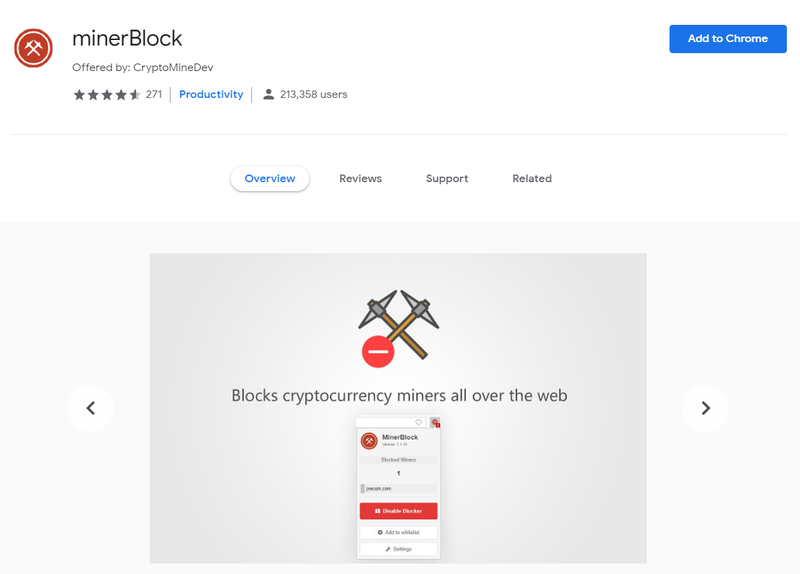 It uses two different ways to stop crypto miners: by blocking requests/scripts loaded from a blacklist, and by detecting suspicious behavior inside loaded scripts and deleting them right away. For all of you out there who simply don’t want to see any ads, uBlock Origin is a great Chrome extension to help you block them all. VPN tools are a great way to access websites from countries that would otherwise not be available in your location. Not only that, but you are also protected against malicious actors and data miners since a VPN hides your real IP address and encrypts your connection. 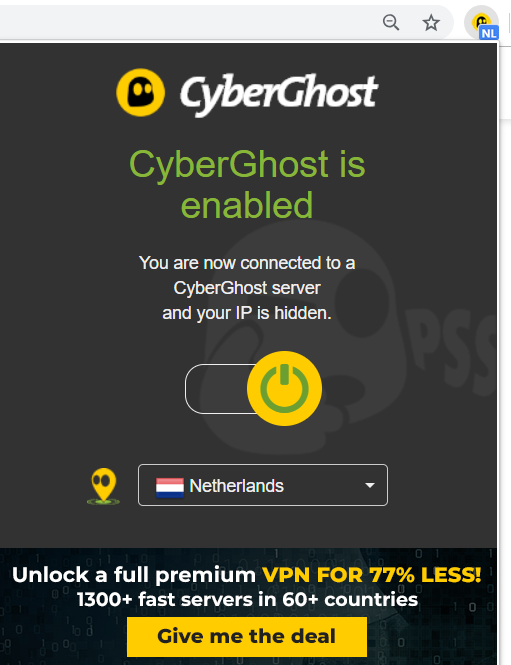 CyberGhost has all of these features in place and has been awarded the “Best Value” category at the BestVPN.com Awards in 2019, so we recommend you check it out. 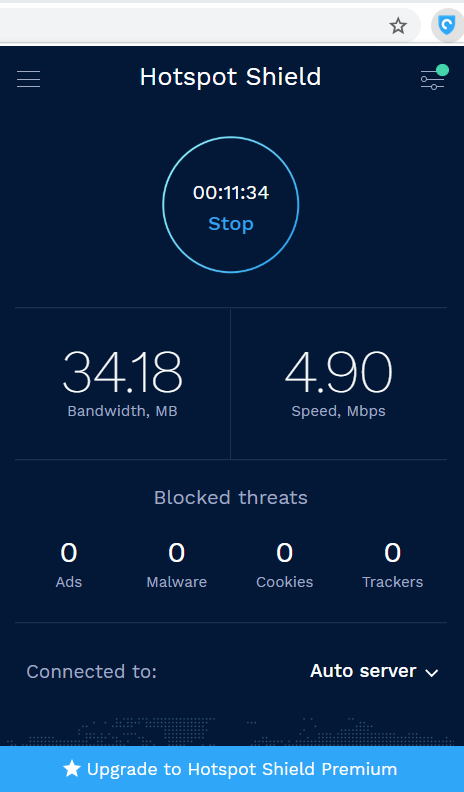 Hotspot Shield VPN is another Chrome extension you should try out. It has both a free and paid version. 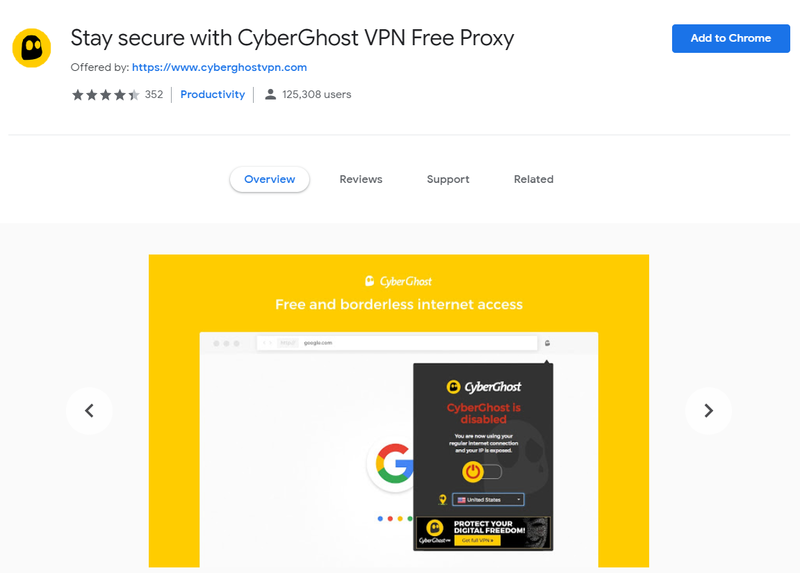 The free one lets you access 95% of its features – hides your IP, prevents personal information theft, encrypts your activity on any network, and you can automatically secure popular websites or bypass unwanted ones. Do Chrome extensions work in Incognito Mode? 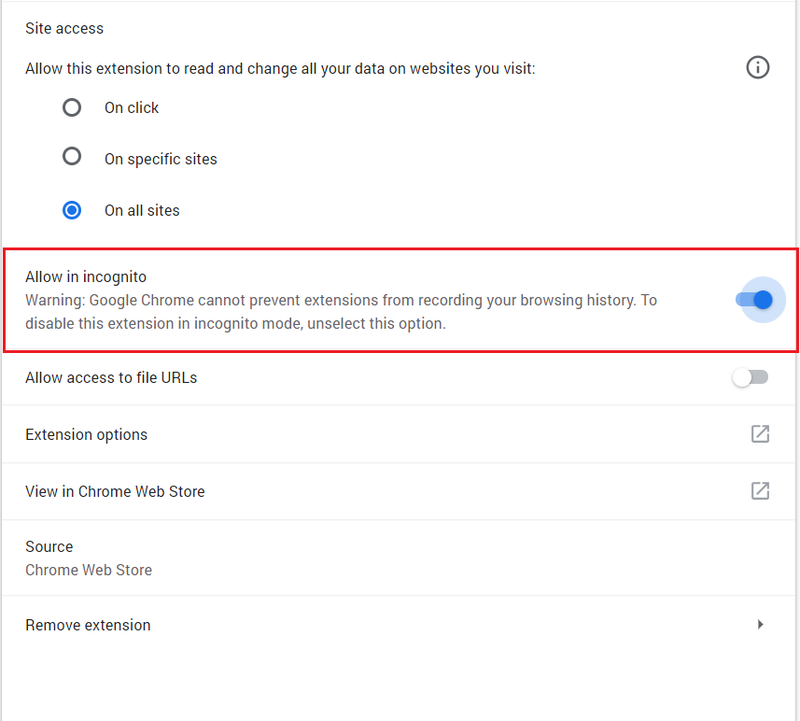 Chrome extensions will not work in Incognito mode by default since this browsing alternative stops the browser from saving your history, cookies, and website data. Yet, you do have the possibility to activate the Chrome add-ons manually so they run in Incognito as well. Step #1: Open an Incognito window, and click on the Settings option. Step #2: The Extensions menu will open in a new Tab. Select the Details option from the add-on you would like to activate. Step #3: Activate Allow in incognito. And you’re all set. 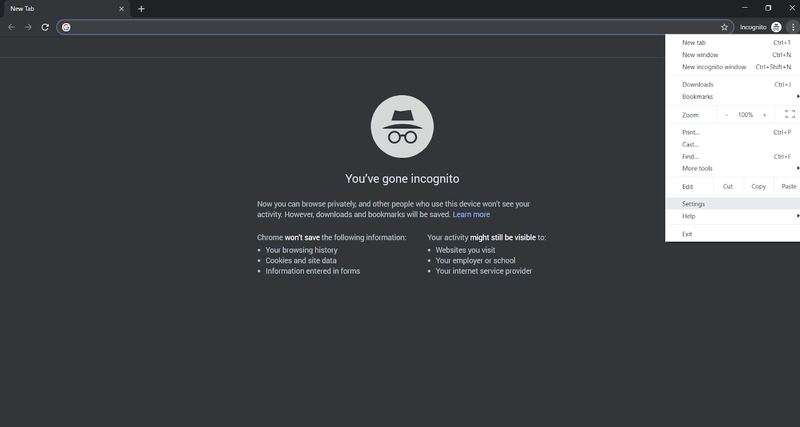 You can now use the add-ons you want in Incognito mode. Are all Chrome extensions safe to use? 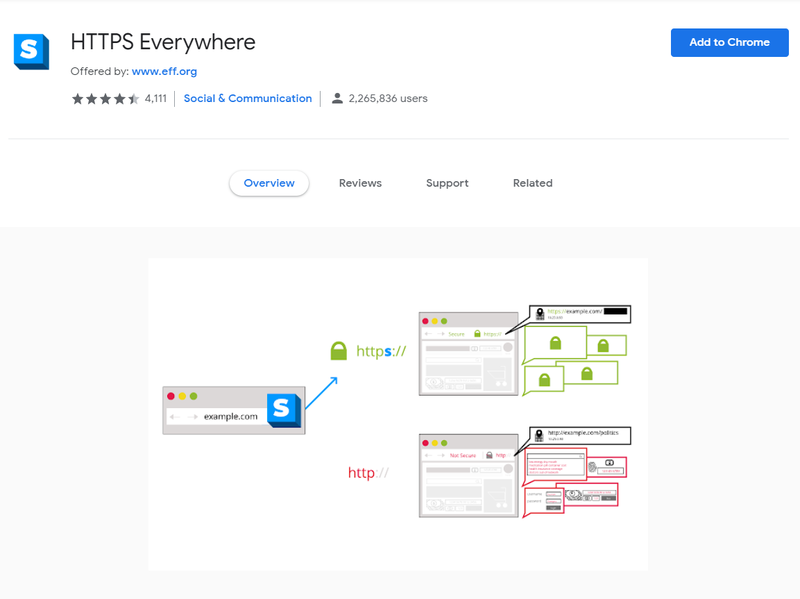 As a general rule, be careful when you browse the Chrome Web Store for extensions, as there are chances you run into add-ons that can compromise your security and privacy. Always look at the extensions’ rating and try to choose the ones that have at least 4.3 out of 5 stars. And also make sure you read the user reviews. Install extensions from trusted sources. You may want to look into who actually developed the add-on and see if the source looks suspicious or not. Pay attention to what permissions the extensions require. If an extension you are already using suddenly asks you to grant another permission, this means it may have been compromised. Never install too many extensions. Stick to the ones you really need. Too many of them can both slow down your browser and make it difficult to keep an eye on to notice if something fishy is going on. Don’t rely on security browser extensions exclusively and also install an anti-malware solution on your computer. What security and privacy add-ons have we missed? Are there any Chrome extensions that you would advise against? Share your thoughts in the comments section below. 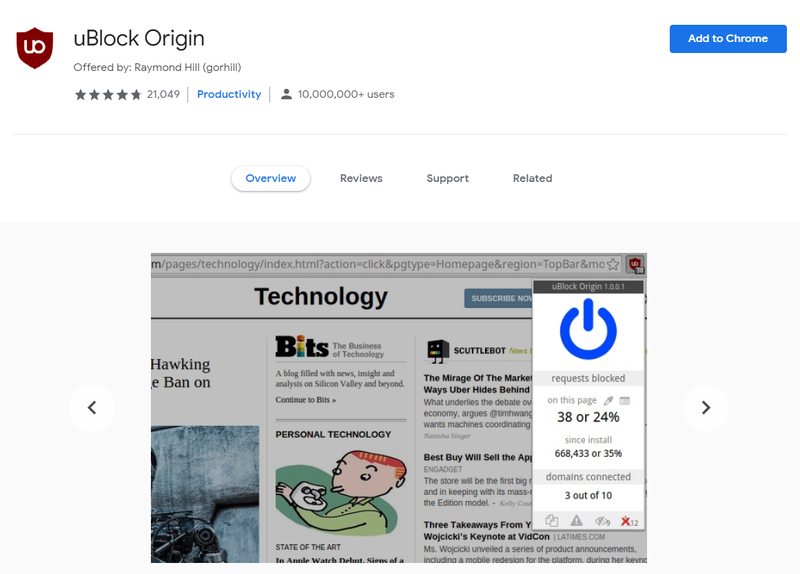 The post 10 Chrome Extensions to Boost Your Online Safety in 2019 appeared first on Heimdal Security Blog. 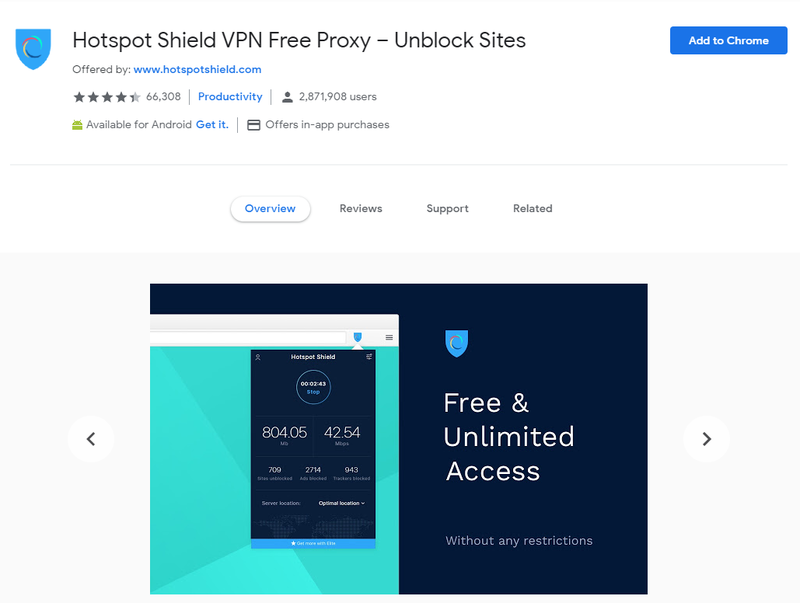 This entry was posted in add-ons, Chrome extensions, data protection, online safety, Privacy, security on April 18, 2019 by Bianca Soare. This entry was posted in App Developers, Cambridge Analytica, data leak, data privacy, facebook, Pikinis, Privacy, Six4Three, social networks, Third party apps on April 18, 2019 by Lisa Vaas. This entry was posted in data collection, data privacy, data sharing, facebook, Facebook Data, nbc report, Privacy, social media, user data as leverage on April 17, 2019 by Lindsey O'Donnell. This entry was posted in ad tracking, apple, Identifier for Advertisers, IDFA, iOS, iphone, microsoft, mozilla, Organisations, phone IDs, Privacy on April 17, 2019 by Danny Bradbury. This entry was posted in Data loss, Guest blog, hotmail, microsoft, msn, Outlook.com, Privacy on April 15, 2019 by Graham CLULEY. This entry was posted in Android, fingerprint, fingerprint sensor, Privacy, Samsung, Vulnerability on April 10, 2019 by Graham CLULEY. This entry was posted in Android, iOS, Malware, Privacy, stalkerware on April 10, 2019 by Graham CLULEY. 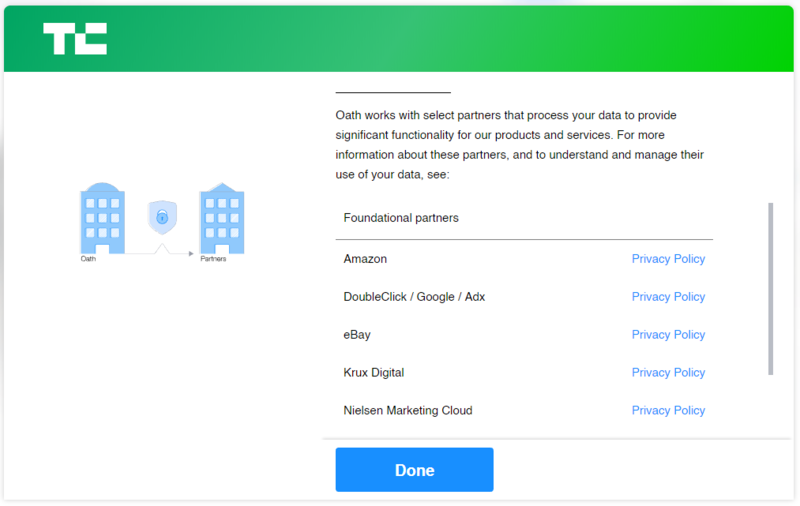 This entry was posted in a little sunshine, Cisco Talos, cybercrime groups, facebook, latest warnings, ne'er-do-well news, Privacy, security, UpGuard on April 8, 2019 by BrianKrebs. This entry was posted in Privacy on April 3, 2019 by Jake Moore. This entry was posted in Breach Disclosure, Data Protection and Privacy, GDPR, Privacy on March 20, 2019 by Valerie Lyons. 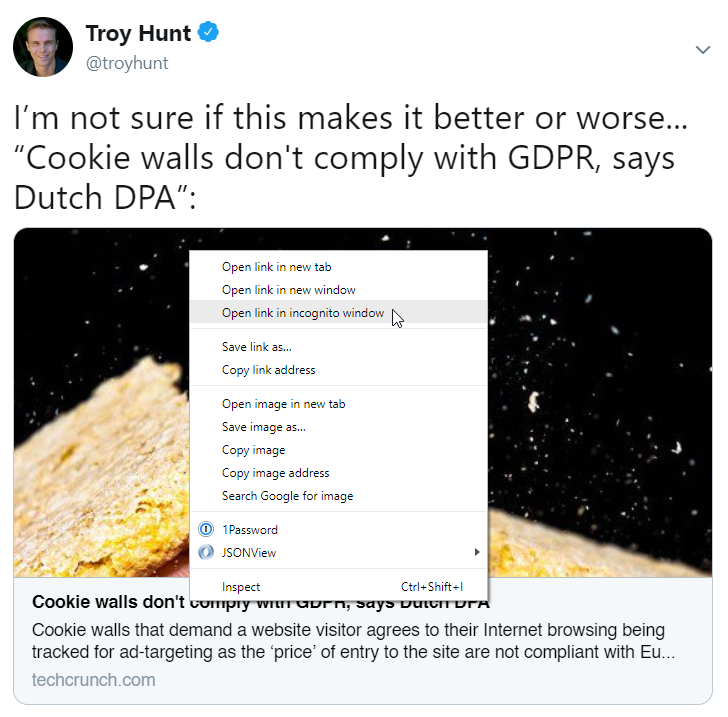 This entry was posted in cookies, Privacy on March 13, 2019 by Troy Hunt. This entry was posted in Privacy on March 11, 2019 by Tomáš Foltýn. Spring Break 2019 is in full swing, which means high school and college kids have hit the road determined to make this rite of passage epic. Unfortunately, not everyone will return home with his or her online reputation intact. Despite the headlines and warnings, kids are still uploading their lives 24/7 and not all of their choices will be wise. While impressive at the moment, showcasing one’s exceptional beer pong or body shot skills could become a future digital skeleton. The decision to share reckless content online has damaged (even destroyed) scholarships, opportunities, reputations, and careers. Each day more than one billion names are searched on Google, and 77% of job recruiters look up potential employees up online during the hiring process, according to BrandYourself.com. Also, 45% of people have found content in an online search that made them decide not to do business with someone. As elementary as it sounds, the first step to helping your child safeguard his or her online reputation this spring break is defining what is and is not appropriate online content. Technology has created a chasm between generations so don’t assume your values align with your child’s in this area. Behavior once considered inappropriate has slowly become acceptable to kids who grew up in the online space. Also, peers often have far more influence than parents. Turn off tagging. Like it or not, people often judged us by the company we keep. Your child’s online behavior may be stellar but tag-happy, reckless friends can sink that quickly. To make sure your child doesn’t get tagged in risky photos on Twitter, Instagram, or Facebook, encourage them to adjust privacy settings to prevent tagging or require user approval. Also, help your kids to pay more attention to unflattering Snapchat photos and Snapchat story photos that other people post about them that can be problematic if shared elsewhere. Amp privacy settings. 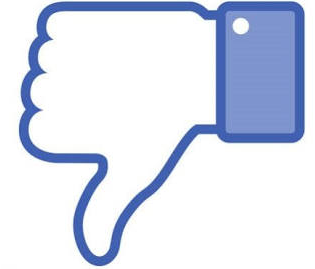 By adjusting privacy settings to “friends only” on select social networks content, digital mistakes can be minimized. However, we know that anything uploaded can be shared and screen captured before it’s deleted so tightening privacy settings isn’t a guarantee. To get a clear picture of your child’s digital footprint and what a school or future employer might find, Google your child’s name. Examine the social networks, links, and sites that have cataloged information about your child. One of the best ways to replace damaging digital information is by creating positive information that overshadows it. Encourage your child to set up a Facebook page that reflects their best self — their values, their goals, and their character. Make the page public so others can view it. They may also consider setting up a LinkedIn page that highlights specific achievements, goals, and online endorsements from teachers and past employers. If for some reason there’s damaging content that can’t be removed by request, encourage your child to set up a personal website and blog weekly. This can be a professional or hobby blog, but the idea is to repopulate the search results with favorable content and push the tainted content further down on Google. In your guiding, don’t forget the wise words of Cyndi Lauper who reminds us all, “Girls just wanna have fun!” Strive for balance in giving kids the room to make memories with friends while at the same time equipping them to make wise choices online. The post How to Make Sure Spring Break Doesn’t Wreck Your Digital Rep appeared first on McAfee Blogs. This entry was posted in facebook, Family Safety, online reputation, Privacy, protecting kids online, reputation management, social media, social networking, spring break 2019 on March 9, 2019 by Toni Birdsong. 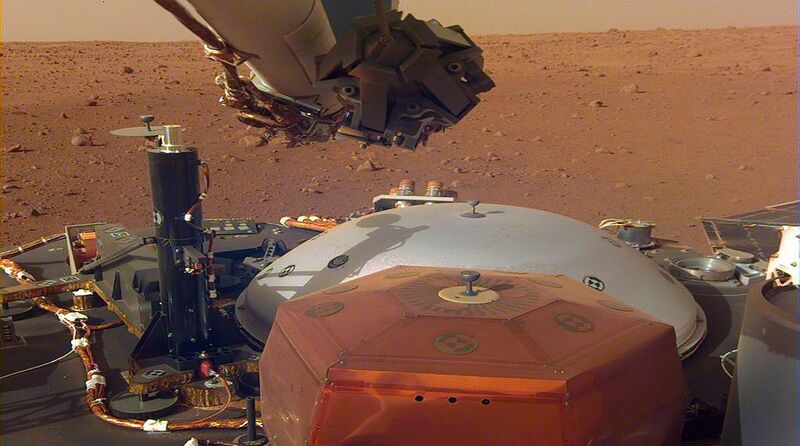 This entry was posted in Data and computer security, data protection, Electoral reform, Europe, European Commission, European elections, GDPR, Internet, Politics, Privacy, social media, Technology on March 6, 2019 by Eleonora Nestola. This entry was posted in cyber safety, hacker, online privacy, password, Phishing, Privacy on February 14, 2019 by Sushmita Kalashikar. This entry was posted in Data and computer security, Information commissioner, Justine Roberts, media, mumsnet, Privacy, Technology, UK news on February 7, 2019 by Alex Hern.